March 6, 2015 By Tina M 3 Comments This post may contain affiliate links. Read my disclosure policy here. Pour your glue into your bowl and slowly start adding your starch. Mix in about a Tablespoon at a time and stir it around. Repeat until you get to your desired consistency. If you want it to be super sticky/slimy, use less starch. 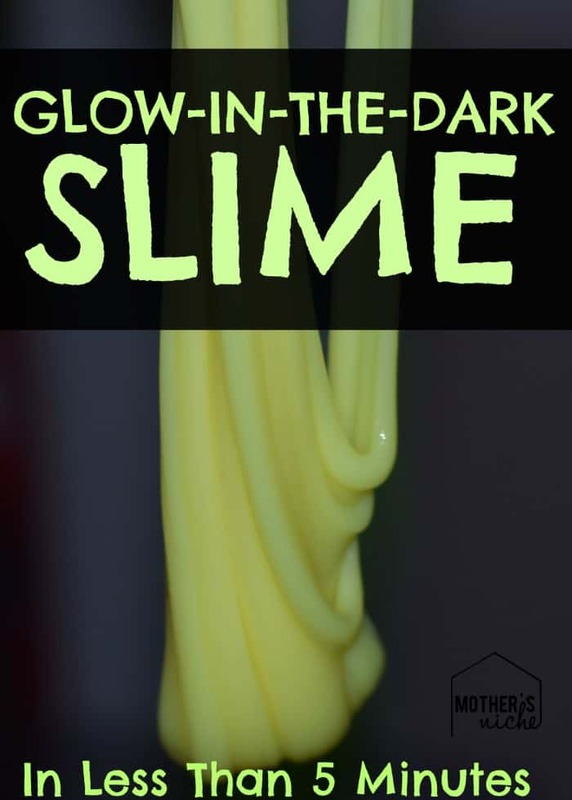 If you want it to be closer to gak, use more starch. I like to get it just to the point where it’s not sticky because it will still stretch, but it won’t get all over my kid’s clothes. 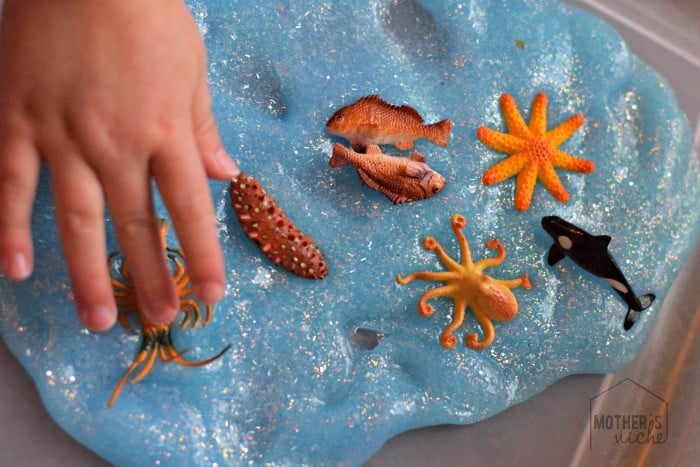 There’s lots of different things you can do with this sensory activity. 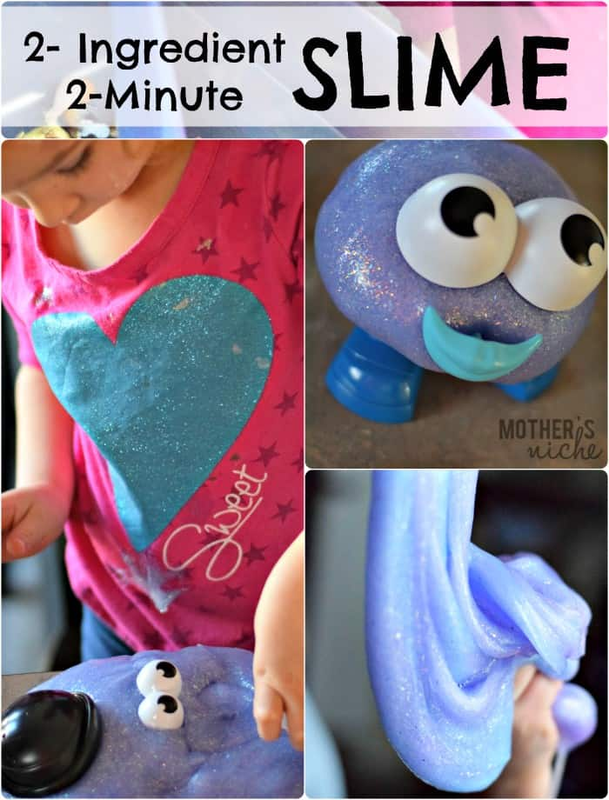 Use Body Part Accessories to Make Slime Monsters…. Mr. 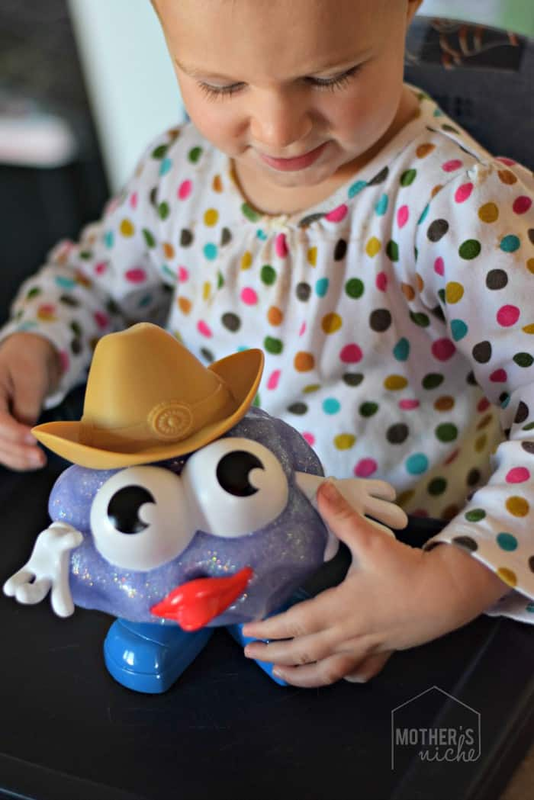 Potato Head Parts Work Too…. 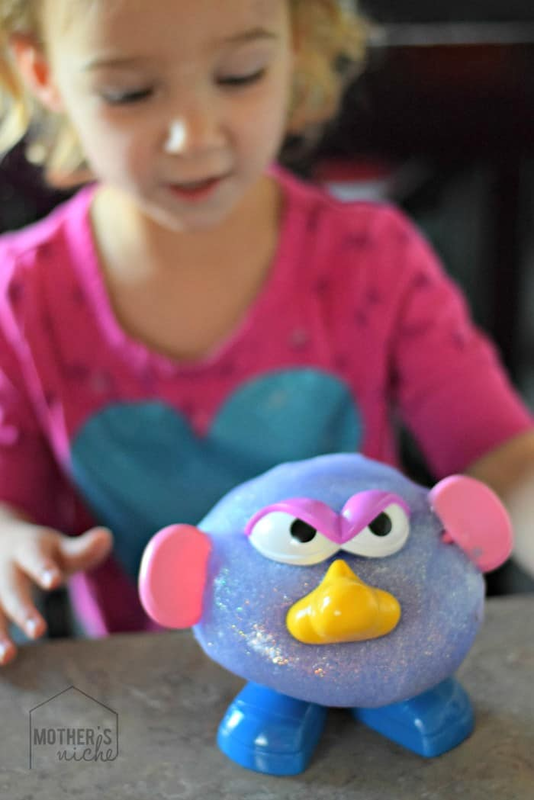 We also made hand and foot imprints in our slime so that we could feel the texture in between our toes! Did you add some kind of glitter? My granddaughters would love this. Oh my gosh I need camera lessons from you!! You take such amazing photos! !